Azithromycin (AZI) is a macrolide antibiotic that improves lung function in lung transplant recipients (LTx). Gastroesophageal reflux (GER) has been implicated in the pathogenesis of chronic rejection after LTx. Macrolide antibiotics may affect GER by modifying esophageal and gastric motility. 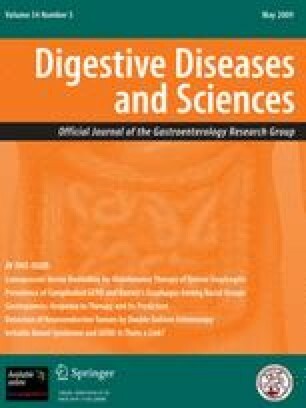 The purpose of this study was to evaluate the effect of AZI on GER and gastric aspiration after LTx. Acid and weakly acidic GER was measured with 24-h pH-impedance monitoring in 47 LTx patients (12 patients “on” AZI). Gastric aspiration was assessed in a separate group of 30 LTx patients before and after AZI by measurements of pepsin and bile acid in bronchoalveolar lavage fluid (BALF). Patients “on” AZI had a significant lower total number of reflux events [41 (30–61) vs. 22.5 (7–37.5)], number of acid reflux events [24 (16–41) vs. 8 (4–18)], esophageal acid exposure [2.9% (0.7–7.3) vs. 0.2% (0.1–2.0)], bolus exposure [0.73% (0.5–1.4) vs. 0.21% (0.12–0.92)], and proximal extent of reflux [14 (9–24) vs. 5 (2–7)]. AZI reduced the concentration of bile acids in BALF without affecting levels of pepsin. LTx patients “on” AZI have less GER and bile acids aspiration. This effect might be due to enhanced esophageal motility and accelerated gastric emptying.